The agreement recognises that that country is inhabited by Macedonians and not North Macedonians and that they speak Macedonian and not a South Slavic language. Aside from the content of the Greece-FYROM Prespa Agreement, which is opposed by a large majority of Greek citizens, the government has made two enormous errors related to the accord. It began negotiating without seeking a minimum consensus with opposition parties. Moreover, it used the agreement to create fissures in opposition parties. It exploited a national issue for partisan aims. All that has passed and the government will be judged both in the next election and by history. It is overshadowed by a significant dimension which goes beyong recognition of our northern neighbour as North Macedonia. The agreement recognises that that country is inhabited by Macedonians and not North Macedonians and that they speak Macedonian and not a South Slavic language. That framework makes it clear that the agreement is not merely the result of a painful compromise. It confronts Greece with a series of challenges. 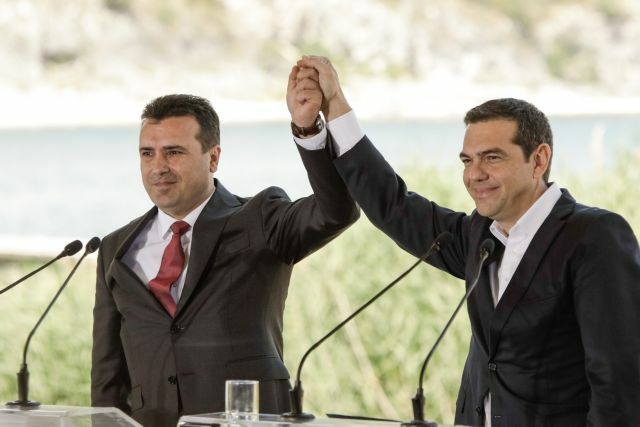 While one side sees the normalisation of relations between Athens and Skopje as an opportunity, it cannot ignore the traps that are concealed in the fine print and in the body of the accord. In other words a page has been turned, but one must always pay attention to the black ink on the next one.